When I was a little Rosey, I wanted to be a Disney Princess. Who am I kidding? I still want to be a Princess! The second time my parents and I went down, we went with our friends. The family has twins girls who are my age. Being the sophisticated five or six ear old that I was, I adored the company whilst we roamed the park. Again, I spent the majority of my park time in the Minnie Mouse house, but this time, I was older. I’d been exposed to the world. I knew the Princesses. I dragged my poor parents all over the park to track down Cinderella, Snow White, and Sleeping beauty. I trailed after Belle in a dream-like trance. I danced after Jasmine and Aladdin like a monkey. My little friends were more than happy to join me. We all went to the Breakfast with the Princesses one morning before the park opened to the public. I don’t think I ate a things. Who could, really? I was in a room surrounded by celebrities. Even my friends’ dad was amazed (by Tinkerbelle’s short skirt.) I got to have a one-on-one with my heroes! I told the fairy Godmother my hearts desire. My mother wished for no wrinkles and to lose twenty pounds. The Fairy Godmother told her that if she could do that, would she really be here? Only now do I understand that. 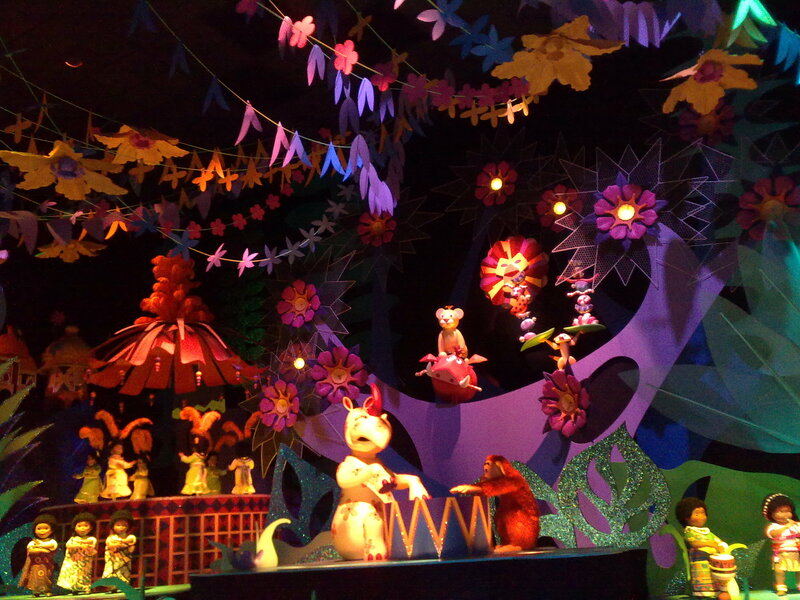 But what I enjoyed the most, more than every character and ride, was the Small World Ride. I had to have gone on that ride at least one hundred times. My parents begged to go on any other ride, but I insisted. Cue angelic music and the gates to heaven opening. My mum and I are probably the biggest Harry Potter Geeks ever. In my family, we have a yearly Potterhead Trivia Contest. You are reading the blog post of the three year reigning champion. We have never been, but have wanted to since it opened. This is truly a dream come true. My wonderful, amazing, best big brother ever got me and my mum the tickets. October really can’t come soon enough. On a much, much, much sadder note, Mac passed away on Saturday night. My school is mourning. Keep him and his family in your thoughts or prayers. JENNIE WAS ON GOOD MORNING AMERICA!!! I don’t have the video from it, but I heard it was awesome! Jennie’s so cool. Yay, Jennie! Writing Update: Nothing to say. Shame on me.